I'm still working on large projects for my new and improved craft room and I haven't put the new craft table to use yet, so here's a recipe from my archives that I haven't shared. It's very similar to the peach pie popsicles, but you can skip the freezing step. I actually stumbled on this at the beginning of the year when I was reading a recipe for another smoothie. That recipe called for coconut water and I didn't have it, so I decided to just add the spices to my usual recipe. Mmm... so glad I did. This looks great. Guess I should get some peaches now while they are on sale and freeze for later! Thanks. This sounds really good. 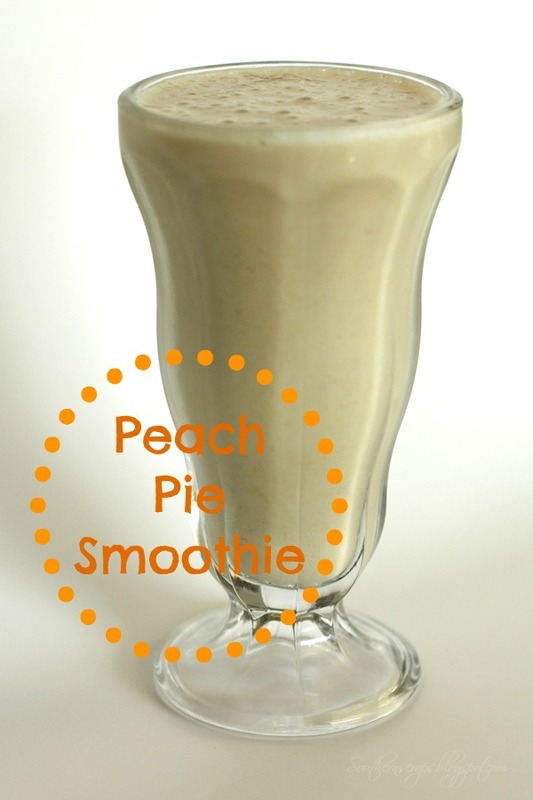 I have so many peaches right now, I think I will have to try this! Sounds like a great smoothie. I've never tried almond milk. I really need to put that on my list some time! Thanks for linking up for Friday Favorites. I'm featuring you this week!